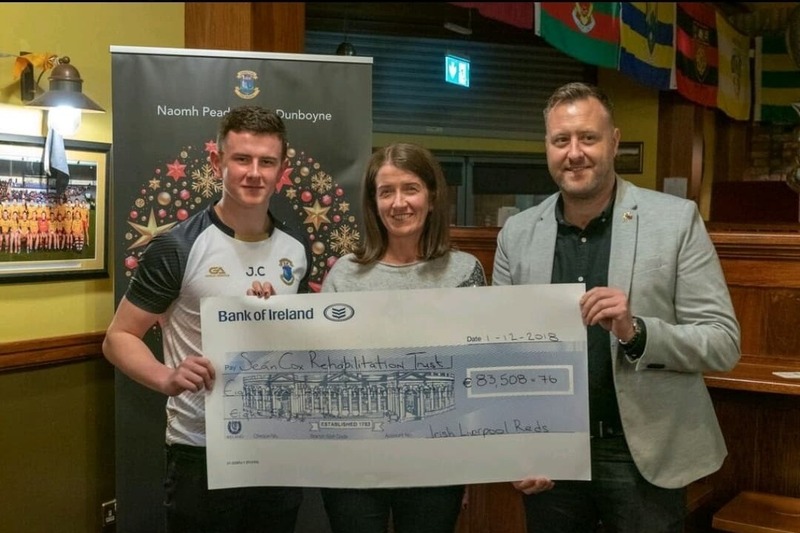 The level of solidarity from so many from our community and beyond for Sean, Martina, Jack, Shauna and Emma since this tragic incident has been overwhelming and is deeply appreciated by Sean’s family. Over the past number of months Sean has been taking small but important steps on a road to recovery. His journey will be a long and difficult one and the focus will continue on ensuring the best possible care to maximise the potential in Sean’s recovery. Sean has recently commenced a program of rehabilitation in Dun Laoghaire and following this will continue to require ongoing and intensive long term care and support. The reality is that the provision of this long term care and support for Sean will necessitate significant funding over many years. 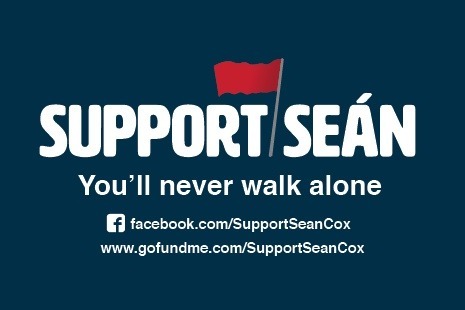 Queries relating to the Sean Cox Rehabilitation Trust can be sent to info@SupportSean.com with a subject line of “FAO: Trustees”. Thank you to Emmet Kavanagh and his colleagues at Irish Liverpool Reds. Their efforts have raised over €83k, for which we are extremely grateful. Well done lads and lasses.